Capitalism Unleashed begins with a succinct analysis of the capitalist crisis that followed the end of the long post-war upswing in 1973. Productivity growth slowed, corporate profits were squeezed, inflation took off. Organised workers, strengthened by boom conditions, challenged the bosses’ power in the workplaces. The capitalist system itself was shaken by waves of militant industrial struggles, and left-reformist leaders put forward radical policies to extend public ownership and improve the ‘welfare state’. After a period of turmoil (1973-79), the capitalist ruling class launched a counter-offensive against the working class. Their aim was to claw back many of the economic concessions of the Keynesian era, to discipline the workers through higher unemployment, and attack trade union rights. Under Reagan in the US and Thatcher in Britain in the 1980s this offensive went under the banner of ‘monetarism’. Subsequently, monetarism was broadened into a generalised programme of free-market fundamentalism, or ‘neo-liberalism’. 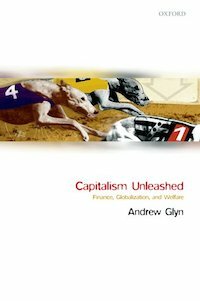 Andrew Glyn’s excellent book follows on from an earlier study of post-war capitalism (Armstrong, Glyn and Harrison, Capitalism since 1945, published in 1991). Austerity, Privatisation and Deregulation provides an overview of the neo-liberal counter-revolution. It recounts the dramatic free-market shift in government policy, the retreat from state intervention, the growing power of finance capital, and the intensified drive for short-term profits. Andrew’s analysis is based on very useful, carefully compiled statistics. One weakness of his analysis of the neo-liberal turn, in my view, is neglect of the role of technological change. Andrew refers to the exhaustion of Fordism (p14), the mass production system associated with big concentrations of strongly organised workers. But there is no analysis of the interaction of rapid technological change (especially information and communications technology based on microprocessors) that facilitated the global dispersal of production with changes in corporate management techniques and government policy. There is no doubt that the neo-liberal counter-revolution was carried through on the basis of an intense ideological and political struggle on the part of the ruling class, but it was not just a question of political action (that would be a voluntarist explanation). The changed policy was based on changed relations of production that arose from qualitative changes in techniques of production. The policy reinforced new trends in the interests of big business. The neo-liberal/technological changes of the 1980s were of course accelerated in the 1990s after the collapse of Stalinism, after which the bourgeoisie felt it had a completely free hand to move against the working class. Two chapters recount the impact of the counter-revolution on the working class. Labour’s Retreats deals with the effect of new technology and policy changes on wages, conditions, unemployment, and especially the effect of new technology on the unskilled sections of the working class in the advanced capitalist countries. Welfare and Income Equality deals with the growth of inequality (wealth and income inequality, wage differentials, etc), especially in the US and other economies following the ‘Anglo-Saxon model’. The picture of taxation and welfare spending is complex, as it is affected by demographics (especially the ‘ageing’ of some societies) and the effect of income distribution on tax revenues. One thing is clear, however. Everywhere, the wealthy elite, who resent paying taxes and don’t need state education, healthcare, etc, are engaged in a ruthless struggle against state provision for the majority of society. At the heart of the book are the chapters on Finance and Ownership, Globalisation, and Growth and Stability which analyse the structure and dynamic of the contemporary world capitalist economy. The finance houses, of course, channel some of their investments into manufacturing, construction, and infrastructure developments. But their drive for the maximisation of profits, often judging results on a quarter-to-quarter basis, puts intense pressure on corporate managers to squeeze as much as possible from their workers, as quickly as possible. 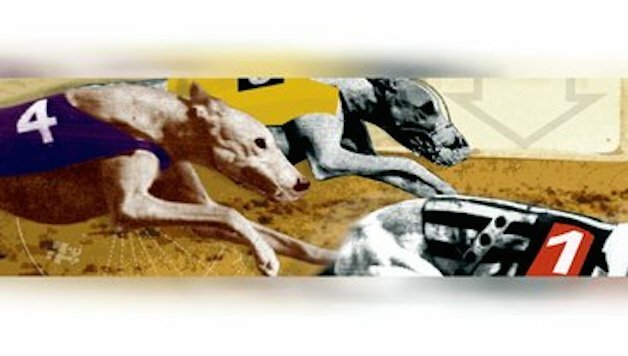 Short-termism reigns. This is dressed up as the search for so-called ‘shareholder value’. But share ownership is in fact highly concentrated and financial institutions (investment banks, insurance companies, mutual funds, hedge funds, etc) wield immense power over corporate bosses and governments. Their drive for short-term gain reinforces the underlying polarisation of wealth within society. The increase in international economic integration is analysed in Globalisation, as well as the crucial relationship between the US and China. Deregulated financial markets have virtually become a single global casino. World trade has also dramatically increased, with the ratio of world exports to GDP doubling since 1960 to around 25% of world GDP (p97). Andrew notes that, for both the US and Europe, the ratio of exports to GDP in 1913 was only exceeded at the end of the 1960s. However, the relocation of corporate production facilities from the advanced capitalist countries to a number of developing countries (especially China) has dramatically changed the structure of the world economy. Over half world output is now produced outside the old OECD economies (p153). Moreover, the threat of relocation to cheap-labour countries is increasingly being used as a threat against workers in the advanced economies to cut wages and jobs. Foreign direct investment (FDI), used to build factories and purchase overseas companies, surged during the 1990s. More recently, there has been an increase in more volatile ‘portfolio investment’ (mainly via mutual and hedge funds, commercial banks, etc) into ‘emerging markets’ (stocks, currencies, property, commodities, etc). These investment flows have become increasingly speculative. During the second half of the 1990s capital flooded in to both the US and China. It was attracted to US markets by the surge in profitability. Inflows pushed up the dollar, depressing US exports but bringing a steady increase in imports. This has resulted in an unsustainable trade deficit now around 7% of GDP. This is financed by the surplus countries, mainly China, Japan and South Korea, buying up US government stocks and other assets. In 1980 China accounted for only 0.8% of world exports of manufacturers. By 2003 it accounted for 7.3%. This massive export boom was based on the huge flow of capital into China, as well as increased internal investment. The new industries have been able to draw on vast reserves of workers willing to work 80 hours a week for around $80 a month. It is estimated that there are 150 to 300 million rural workers who could potentially be drawn into industry. This would not only stimulate further growth in China, but continue to exert downward pressure on wages in the advanced economies. China has “the potential to carry this process a great deal further” (p92), writes Andrew. But there are many potential obstacles to uninterrupted growth. There is the decisive dependence on the US consumer market. Any slowing of export growth will mean that China can no longer meet its rising bill for imported food, materials, fuel, semi-finished manufactures, capital goods, etc. Within China, social instability could lead to a political breakdown that could cut across economic growth. A breakdown on either side of the US-China axis would have a devastating effect on the world economy. What is Andrew Glyn’s assessment of the world economy under the neo-liberal regime? What are the prospects for capitalism? In Growth and Stability, he shows, on the one side, that the increased weight of the financial sector has promoted volatility, including a series of unstable bubbles. The Asian currency crisis (followed by the collapse of the Russian rouble and bankruptcy of the US hedge fund, LTCM) and the worldwide stock exchange crash of 2001 were major convulsions. On the other side, however, in terms of output growth he shows that “the period after 1993 has been the most stable post-war decade, with the output of both advanced and less developed economies being around one third less volatile than during the 1950s and 1960s”. (p149) This relative stability, he comments, is “somewhat paradoxical”. The main explanation, suggests Andrew, is that central banks, no longer fearing an explosion of inflation, have not felt compelled to resort to credit squeezes during the recent period. The weakened bargaining position of workers and the deflation of prices through globalisation, worked against inflationary pressures, at least in most advanced capitalist countries. Faced with potential crisis (the 2001 dotcom crash and the 9/11 shock), the central banks (led by the US Federal Reserve) injected massive liquidity into the world economy, producing new bubbles. These fed through to consumer demand, but at the same time produced an even higher mountain of debt. Despite this relative stability of output growth, however, output per head has been growing more slowly since 1990 than even during the 1973-79 period of stagflation. The annual per capita growth rate of the major OECD economies has been about 2% compared to 4% during the 1960s and early 1970s. Japanese capitalism stagnated, while Europe enjoyed only very feeble growth. Capital accumulation has also been weak. Fixed capital stock in industrial countries grew by 3.3% per annum in the 1990s compared with 5% per annum in the 1960s. It may also be added that the aggregate figures presented by Andrew tend to smooth out major regional and local upheavals (for example, Southeast Asia in 1997, Argentina in 2000-03). So what are the prospects for capitalism? The capitalist system has not reached the ‘end of history’, says Andrew Glyn, and growth and stability are not assured. Nevertheless, his assessment appears to be that capitalism is far more resilient than many on the left might have expected. Clearly, according to the dictionary definition of a recovery/death conjuncture, there is not currently a crisis in the world economy. Financial markets are still buoyant (despite some recent tremors). GDP growth in China continues to race ahead, with relatively robust but erratic growth in the US and weaker but continuing growth in Europe and Japan. So things are not so bad for capitalism? But we have to look beneath the surface to forces that will propel change in the future. “Trying to work out more or less likely long-term scenarios is just peering into a highly uncertain future”, says Andrew. Yet surely we have to look beyond the present conjuncture, recognising that the current system of politico-economic relations (the prevailing neo-liberal regime) will not last indefinitely, and is in fact preparing its own downfall? Should we not try to identify those trends that, through their “most astounding contradictions” (Marx), will give rise to a new conjuncture, most likely one of dislocation and crisis? Precise scenarios are of course not possible. But projection of current trends, with possible variant developments, is possible – and necessary, unless we simply resign ourselves to ‘wait and see’. Analysing the development of the economic and political crisis of the 1970s (p2), Andrew writes that “the very success of the golden age seems to have undermined its basis”. The neo-liberal period undoubtedly has very different characteristics from the ‘golden age’. Nevertheless, there are internal contradictions which will just as surely undermine its basis and provoke crises. Economically, all the conditions of crisis are being prepared. Besides, neo-liberal economic policies are generating social crisis throughout the capitalist world, which will create the explosive materials for political upheavals. All the ingredients of future crisis can be found in Capitalism Unleashed. The expanded role of finance capital, the short-sighted search for short-term profit. Debt dependency. Reliance on a series of bubbles (overvalued shares, houses, currency trading, commodities, emerging markets, etc) to sustain growth. “The US economy, and thus the world economy as a whole, is very vulnerable to a sudden reversal of the US consumption boom”. (p137) “Current macroeconomic stability is highly vulnerable to financial crises” (p150) – and many similar comments. Nevertheless, in my view, Capitalism Unleashed does not give sufficient weight to the catalytic elements of future crises. At a basic level, the cutting back of the working class’s share of the wealth will further restrict the market for capitalism (in spite of more rapid growth in countries like China, India, etc). Global growth, moreover, has come to depend more and more on the US-China axis. The US provides a massive credit-fuelled market for consumer goods, while China supplies ever-cheaper products. At the same time, China, Japan, South Korea, Taiwan, etc, finance the US external deficit by buying up US government bonds and other US assets. China’s phenomenal growth of output and investment is also driven by multiple bubbles: massive inflows of capital, over-investment in industrial capacity, a speculative housing boom, and colossal, debt-financed investment in infrastructure projects in the industrial regions. While the US dollar is overvalued, despite US capitalism’s unprecedented external deficit, the Chinese currency (yuan or rmb) is undervalued (at least in relation to China’s industrial regions). Andrew, however, tends to stress the phenomenal growth and its impact on the advanced economies, while paying little attention to the uneven, contradictory character of China’s growth. The regime itself recognises that its stability is threatened by massive corruption and lawlessness, as well as frequent protests which in many cases take on an almost insurrectionary character. These bubbles and the associated imbalances in the world economy are unsustainable, as most serious capitalist economists admit. Some of the most alarmist commentaries, for instance, come from market analysts like Stephen Roach of the investment bankers, Morgan Stanley. The only real question is when there will be a ‘realignment’ of currencies and adjustment of the imbalances, and how rapidly and painfully it will occur. One thing is certain: the longer the ‘correction’ is postponed, the more severe it will be. Capitalism Unleashed is an excellent anatomy of the world capitalist economy. Its main weakness, in my view, is that it does not sufficiently link economic trends to social and political developments, from which economics cannot realistically be separated. Sharpening inter-capitalist tensions reflect underlying economic competition and pose a threat to the neo-liberal economic regime. Steady world economic growth – together with the demise of a rival social-economic bloc in the form of the (Stalinist) Soviet Union and the transition of China to a form of capitalism – has not produced harmony in world relations. Recent conflicts in the Eurasian ‘arc of crisis’ have dramatically increased world tensions. There is a scramble for control of oil and gas reserves, pipelines, and strategic transportation routes. The Doha round of WTO negotiations are stalled, and agreement appears doubtful. The US and the EU have continually wrangled over agricultural subsidies, aircraft production (Airbus v Boeing), cross-border mergers and acquisitions, regulatory powers, and so on. So far, most of these disputes have been smoothed over or postponed – but they reflect underlying national antagonisms which are likely to become much sharper in the event of a world economic downturn. The US-China symbiosis is the core of current global growth, yet the Bush administration has designated China as its main strategic rival and is manoeuvring against China in Asia. These tensions, together with increased rivalry between regional powers, recall the situation before the first world war. Then, a period of accelerated globalisation and sustained growth in the world economy came to a catastrophic end in 1914, with the eruption of the first world war. Today, world war between the major powers is ruled out by the possession of nuclear weapons. But economic conflicts and pursuit of rival interests through proxies engaged in regional and civil wars are likely to multiply. Under the neo-liberal regime, there has been a shift in the distribution of wealth and income in favour of the capitalist class (reversing the mild levelling trend of the ‘golden age’). GDP growth no longer ‘lifts all the boats in the harbour’. Throughout the advanced capitalist countries, and especially in the USA and other economies based on the ‘Anglo-Saxon model’, output growth has produced increased inequality and in some cases an absolute increase in the numbers living in poverty. At the same time, cuts in welfare benefits and pensions, and the trimming of social spending, especially in relation to the needs of an ageing population, have reinforced the growth of inequality. There are symptoms of growing social crisis in all the advanced capitalist countries. In Britain and France, for instance, attention has been focused on urban riots associated with Muslim communities, but essentially rooted in the poverty and alienation of the inner cities (Bradford, etc) and the French banlieue (outer-city ghettos). The intensification of exploitation at work, increased insecurity, and the reduction of job opportunities for the least skilled section of workers (described and quantified in the book), have all contributed to the increase in alienation and social tension and, in some cases, violent conflict. This is so. The collapse of the Stalinist system (centrally planned economies ruled by a totalitarian bureaucracy) had a devastating impact on workers internationally. As Andrew says, it appeared to shatter the idea of the viable alternative to the capitalist market. The collapse led to ideological disarray in labour movements throughout the world. The disappearance of Stalinism as a counterweight to capitalism undermined the social and political basis of reformism. The capitalist ruling class no longer felt the need to make concessions to the working class over wages, trade union rights, and social provision. The leaders of the traditional workers’ parties (social democratic, labour, and communist) rapidly moved to the right, embracing the market as the only possible system. Changes in the structure of production and globalisation undermined the strength of many of the ‘big battalions’ of the working class in manufacturing industry. The hollowing out of the traditional workers’ parties effectively undermined the political representation of the working class. This process was exemplified by recent events in France. The upsurge of mass struggle in March and April 2006 against renewed attacks by the Chirac-Villepin government in many ways resembled the May events of 1968. Bold action by students led to clashes with the police, five days of action, one of them involving over three million. Villepin was forced to retreat, withdrawing his new youth labour law. Yet there was also a sharp contrast with May 1968. Then, there was a powerful ideological alternative to capitalism, with millions of workers supporting the idea of socialist change or even revolution. Recent struggles were defensive, lacking mass support for an alternative to capitalism. Indeed, the feature of recent struggles sweeping both the advanced capitalist countries and the neo-colonial lands has been mass opposition to the effects of neo-liberal capitalism, but a political vacuum in terms of an alternative. Yet the fact that the capitalist system is not currently facing an ideological challenge as it did in the 1960s and early 1970s, that it is “not at present threatened by serious competitors”, does not mean that it is not facing the prospect of profound social and economic crisis. True, the weakness of the workers’ movement, especially the weakness of class consciousness, has allowed the ruling class to take free-market policies much further than they dreamed they could in the early 1980s. But this extreme “reassertion of the fundamental workings of the capitalist economy” is already undermining the basis of the global neo-liberal order. The bourgeoisie’s lack of restraint will rebound on them with a vengeance. It is impossible, of course, to say exactly when and where, but capitalist fundamentalism will assuredly provoke political explosions. The events in France, the revolutionary movement in Indonesia triggered by the 1997 Asian crisis, and recent mass struggles against privatisation of gas and water in several Latin American countries are overtures to even bigger events to come. It is a return, in fact, to a more brutal form of capitalism, shorn of more and more of the reformist cushioning of the post-war upswing. Under continuous assault by the capitalist class and disarmed by its own mass leaders, the working class has undoubtedly suffered setbacks and been weakened in terms of organisation and especially class consciousness. Nevertheless, the proletariat remains a powerful social force internationally and is actually being strengthened in some of the developing countries. Under the impact of the neo-liberal counter-revolution, the working class will reorganise, rearm itself politically, and reassert its power as a decisive political force. Freedom from the bureaucratic fetters and perverted ‘Marxism’ of Stalinism will be an advantage. Socialist ideas are already attracting many freshly politicised young people, and they will win wider support in the next few years. Socialism – specifically Marxism – will become a ‘serious competitor’ to capitalism. Why? Because Marxism is the only ideology capable of consistently expressing the interests of workers and other exploited and oppressed classes. It provides the theoretical tools for a fundamental critique of capitalism. Above all, it offers a programme for the abolition of capitalism and the establishment of a higher form of society based on international solidarity, planned production, social equality, and radical democracy based on workers and other exploited strata. While his analysis of economic trends is clear, Andrew’s answers to these questions are very tentative. Of course, he favours defending the welfare state and fighting to improve it. He shows that economic performance (productivity growth, output growth, employment levels, etc) are certainly no worse in ‘welfare’ economies (like the Nordic states) than in those following the US-led ‘Anglo-Saxon model’. But he misses two crucial points. First, the capitalist class is not concerned with “good economic performance” in general. They are determined, even in the Nordic countries, to cut back the public sector, to curb egalitarian tax-and-spend policies, and to enlarge the social sphere open to corporate profit-making. Yes, they want productivity growth, higher GDP output, but above all they want a healthy ‘bottom line’ – maximum profits. The second point is that the Nordic governments have already abandoned defence of the social democratic ‘welfare state’ in favour of free-market measures. In this respect, Andrew’s analysis is lagging behind recent developments. Sweden is a clear example. The social democratic government of Persson carried through sweeping privatisation measures and big cuts in welfare provision, especially pensions. Neo-liberal conditions imposed on the labour market have created massive insecurity among workers. These changes account for the defeat of Persson’s government in the recent general election (see Socialism Today No.104). A majority voted against Persson’s neo-liberal policies, but in the absence of a viable left alternative, mainly voted for the (conservative) Moderates. The new government, of course, will now carry neo-liberal policies much further, and will become equally unpopular in time. A specific proposal put forward by Andrew is for a Basic Income (p180). “Under a Basic Income scheme each person would receive a regular and unconditional cash grant from the state. It would be… received by everyone irrespective of other income or whether they were in work or not, and it could be spent on whatever the recipient wished”. (p181) This would end many means-tested benefits, getting rid of the poverty trap for low-paid workers. Unemployed workers would be able to work part time without losing benefit. Tax rates for higher paid workers would have to increase to pay for the Basic Income. Andrew describes it as a “recasting of elements of the welfare state in an egalitarian direction…” The scheme would also allow some workers to reduce their working hours to achieve a better work-life balance. Andrew recognises that there could be widespread opposition to the idea on the grounds that benefits would be paid to employed workers who “do not really need them”. “For reasons of political acceptability, Basic Income would probably have to be introduced at a relatively austere level”. But “where will the money come from?” (p183) Big business is pressing for further reductions of corporate taxation. The majority of wage earners are understandably resistant to any increase in their tax burden. This ‘fundamental question’ is raised in the last paragraph of Capitalism Unleashed – and left unanswered. We should fight to defend all past gains and for new reforms – which can only be achieved through struggle in this period. Nevertheless, it has to be recognised that the era of a stable, expanding welfare state and of comprehensive trade union and civil rights has gone for good. It was a phase of capitalism that arose during a particular historical conjuncture. It rested on relations of production and a particular balance of class forces that have completely changed. We are operating within a new, regressive phase of capitalism which will not readily concede an increased share of the wealth to the working class. There is no scope for lasting reforms within unleashed capitalism – which is why the fight to defend living standards and rights has to be linked to the need for a fundamental reorganisation of society.